Mount Mercy University received a B.
Washington Monthly's ranking of 153 out of 346 of Baccalaureate Colleges - Overall Rank was a major contributor to this grade. "Mount Mercy College offers its students the sweet perks of other small liberal arts colleges, but distinguishes itself by its "unfailing dedication to career preparation and adult learning." Located in mid-sized Cedar Rapids, IA, Mount Mercy offers two 6-week summer sessions and tons of class schedules to meet students' needs." What is a typical Mount Mercy University student like? Describe the type of person that should attend Mount Mercy University. If you are a fun and outgoing individual that's willing to learn this college would be a great fit! Everyone is so friendly and opening to meeting new people. What are the top 3 reasons someone should attend Mount Mercy University? What was a typical Mount Mercy University student like in high school? Describe the type of person that should attend Mount Mercy University. They were studious and motivated to do well in school. They were probably friendly and had a good number of friends. In addition, they participated a lot on school clubs and activities. Since its founding 80 years ago by the Sisters of Mercy, Mount Mercy has been many things: a girls' academy for training young teachers and nurses, a two-year college for women, a four-year coed liberal arts college, and now a full university. But we've never lost sight of our founding mission: to provide a career-launching, life-affirming education in service of the common good. The more than 1,600 men and women who make up our student body come from all over Iowa and the world. They choose Mount Mercy for our small, hands-on classes, meaningful faculty interaction, vibrant student life and our commitment to leadership and compassionate service. Mount Mercy alumni are the backbone of their eastern Iowa communities -- nurses, teachers, business professionals, and civic leaders -- and living proof of the merits of a Mercy education. What are the top 3 things that students do for fun at Mount Mercy University? We like to all hangout together and have a good time! Study sessions with the bowling team are a huge help! There are endless activities going on all the time! Campus housing is available for undergraduates. Housing deposit : $200.00. Housing deposit due : Aug 15. Housing deposit is not refunded if student does not enroll.. Freshman allowed to have car. No pets. 38% of students live on-campus. Total stated tuition is $26,160, in-state and on-campus, before financial aid. 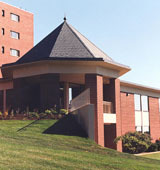 Learn more about financial aid at http://www.mtmercy.edu/tuition-financial-aid. Estimate the net price for you at http://npc.collegeboard.org/student/app/mtmercy. The typical (median) early career salary of Mount Mercy University graduates is $40,000, according to Payscale. Mount Mercy University participates in the NAIA Division II for college athletics. Want more info about Mount Mercy University? Get free advice from education experts and Noodle community members.